Take a peek behind the curtain of two unique journeys that bring old world paper-making and artisan printing to the national design community, French Paper Company and Mama's Sauce. Print Matters is a speaking event comprised of tales from Brian French, 6th Generation French Paper Company, and Nick Sambrato, Mama's Sauce founder, about their respective companies combined 150 years (143 of those from French alone) of producing paper and printing in an ever modernizing world. Both companies are not just manufacturers, each has become a part of the design community. AFTER PARTY at VIDERI CHOCOLATE FACTORY! How cool is this? They are opening their doors for us to come hang after the event! Keep the community love going! 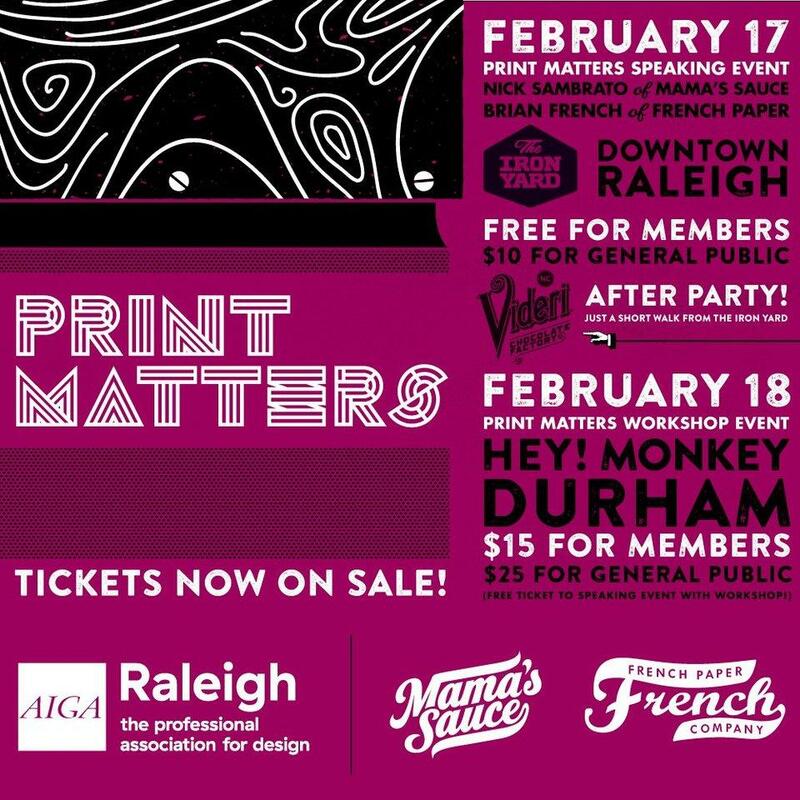 THIS EVENT IS FREE FOR AIGA RALEIGH MEMBERS, $10 for the General Public. If you purchase a ticket to the Print Matters Workshop Event on Sat Feb 18. You get into the talk for FREE!